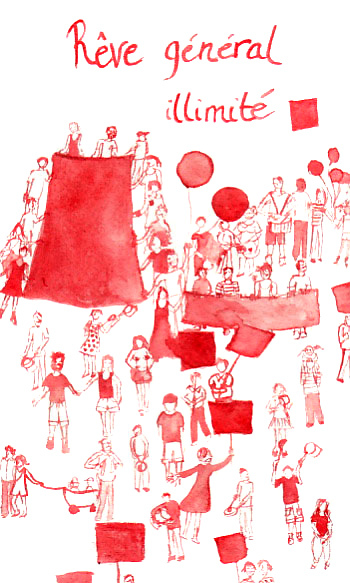 It should not be surprising that the longest student strike in North American history, the one kicked off on February 13, 2012 in Quebec, has captured the imagination. For sheer persistence alone, it’s a gripping drama. But strikes can be dreary things when they drag on — a standoff bringing matters to an unproductive standstill, and wearing down strikers, strike supporters, strikebreakers, police, and “bosses” alike, although to differing degrees and consequences. What’s striking about this particular strike is that imagination itself has been a key ingredient from the start — and a generative one at that. That sensibility is alive and well, and so there’s rarely a dull moment, or positively put, imagination that willingly and critically rethinks itself has to date made for a dynamic movement. Merriam-Webster’s Collegiate Dictionary defines the word imagination, first and foremost, as “the act or power of forming a mental image of something not present to the senses or never before wholly perceived in reality,” along with “the exercise of that [power].” Related phrases that spring to mind are creativity, inspiration, and innovation. Rather than a shutting down (in this case, of school), the Quebec student strike has been marked by creation, “the act of making, inventing, or producing,” to quote Merriam-Webster’s again. And such acts, in turn, have the potential to strike at the very heart(lessness) of capitalism. 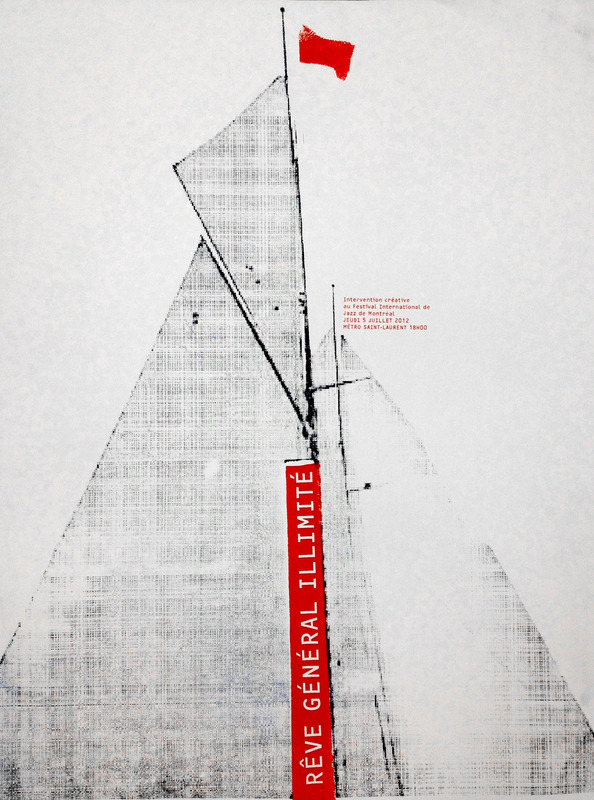 That script has also been a figurative and sometimes-literal multimedia work of art and labor of love, with its component parts ranging, figuratively and maybe literally too, from jazz improvisation-composition to street art to dérive to high theatrics and grand oratory (for my earlier musings on the notion of the maple spring dérive, see https://cbmilstein.wordpress.com/2012/06/24/queer-feminista-anticapitalista-montreal-nights-53-60/). The student strike, also from the start, strategically and astutely, was about making, inventing, and producing new spaces, again both figuratively and literally. Perhaps beyond it’s wildest dreams, or again unwittingly, the strike has helped facilitate all sorts of new spaces, such as the de-schooling of classrooms into actual places of learning (used by strikers for such self-schooling as organizing, artistic creations, and assemblies, say). 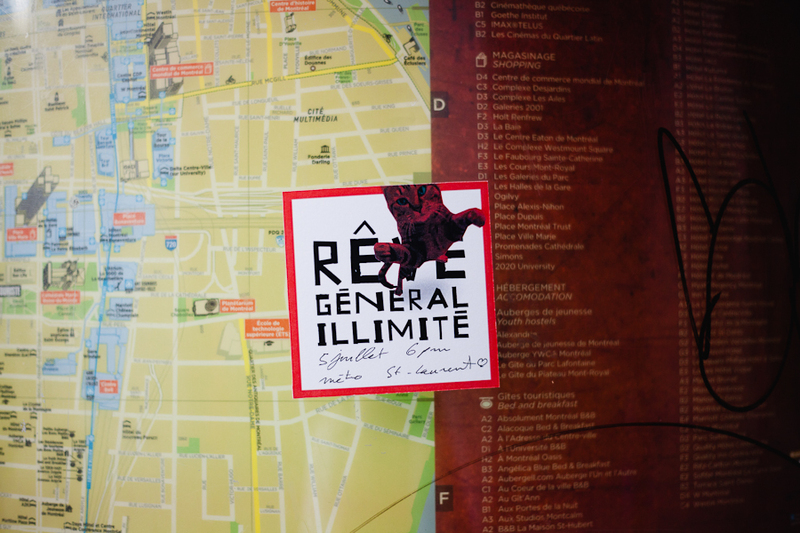 Or the reclaiming of the city and its streets, neighborhoods, balconies, parks, and festivals for a host of new encounters, new practices, and new social relations — boldly, disobediently without permission of riot police or special laws. Which brings us to this week and consecutive night 73 (July 5) of the illegal evenings of what could be seen as creative interventions into the culture and geography of self-organized resistance, and better still, caring and careful self-generated reconstruction: Rêve Général Illimité au Festival du Jazz de Montréal (for more info, see the Web site of the Montreal-based HOWL! 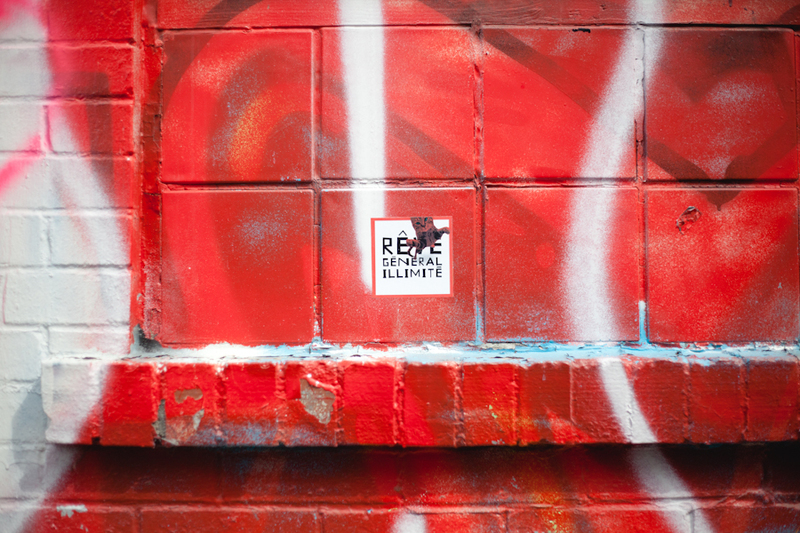 Arts Collective, composed of cultural workers, artists, and activists working for social justice via artisticexpression: http://howlarts.net/post/26376871104/reve-general-illimite-au-festival-du-jazz-de-montreal). Understanding how to relate to the spirit of festivals that dominate Montreal in the summer — a time when, due to the intensity of winter, it seems like this city lives outside and for unabashed enjoyable — was a delicate, seemingly tricky question as the festival season neared. The anticipation hung heavy in the air, where nightly a helicopter also hung low to surveil the illegal demos, as to what would happen with the first of the “festivals”: the Grand Prix. The student coalition CLASSE and the anarchist organization CLAC collaborated on various strategies to disrupt the F1 and its conspicuous display of wealth, sexism, and (as many people are fond of saying here) douchebags. For a more coherent French-language version, see https://www.facebook.com/events/441118925922776/. 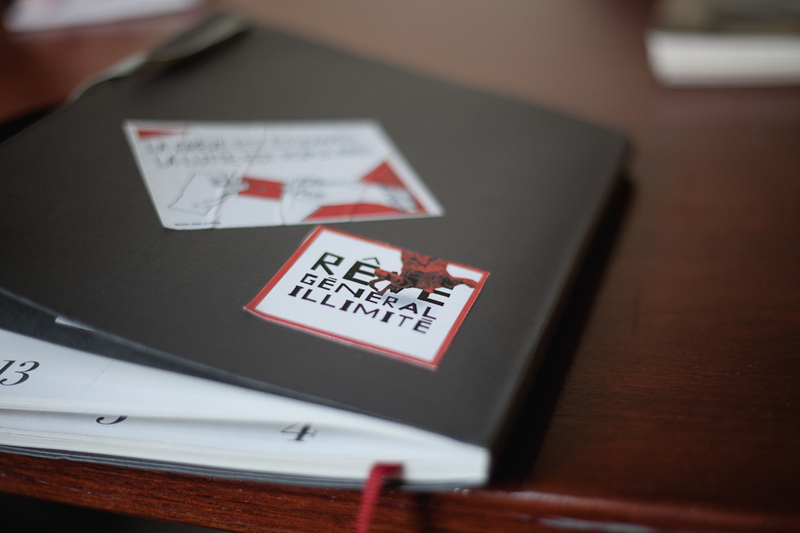 My thanks to Thien for the four gorgeous photos of the Rêve Général Illimité sticker in action (for more photographs, head over to http://quelquesnotes.wordpress.com/), and kudos to LOKi design, again, for the Rêve Général Illimité image. 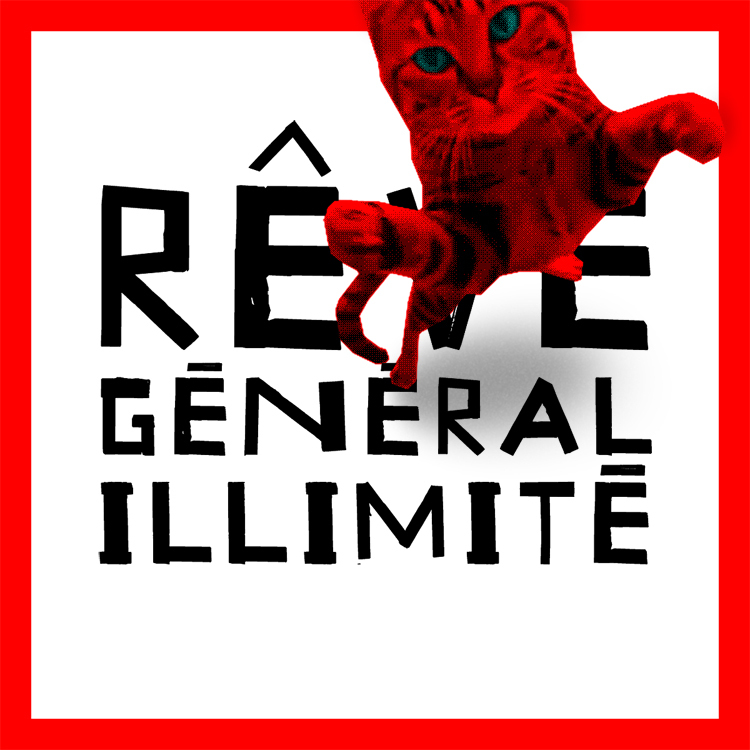 And especial appreciation to the person (who shall remain anonymous here, since I’m not sure if they’d want to be named in relation to the intervention or my blog) who when I asked how I might contribute to Rêve Général Illimité, asked me in turn to write something. I hope this goes some way toward what they were looking for, since their dedication to remaining a student of life and ideas, from organizing to the arts and/as politics to reading theory and history during the downtime of their wage-labor time, has gone a long way toward inspiring me of late. Down with schools; up with education! Or as I wrote a few nights ago, “No school but learning” (https://cbmilstein.wordpress.com/2012/07/01/no-school-but-learning-montreal-night-68/). Thanks Cindy for the beautiful text. 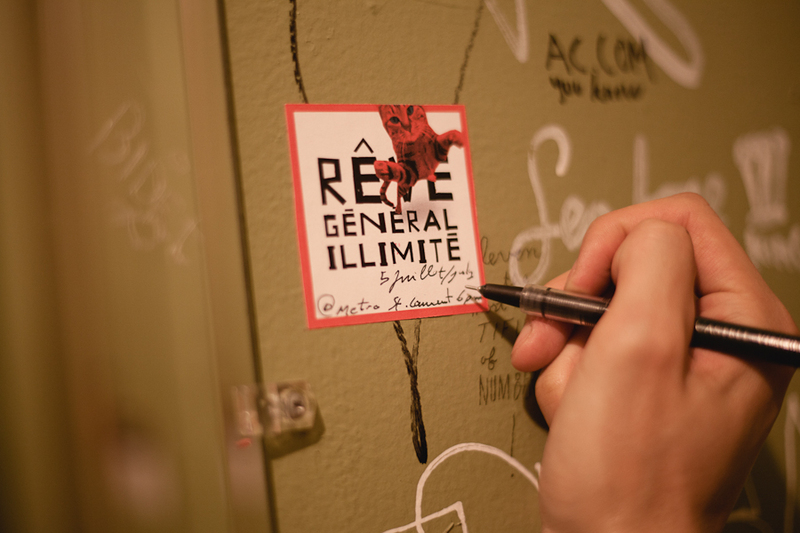 For those who were there, here’s a video of the “Rêve Général Illimité” https://vimeo.com/45327653 and beautiful pictures by Thien here http://quelquesnotes.wordpress.com/2012/07/06/050712/ See you July 19th! This entry was posted on July 3, 2012 by Cindy Milstein in Dispatches from Quebec Spring.